Entering Petra through the Siq and see world famed Treasury, the tombs and a colonnaded street carved into the mountain. 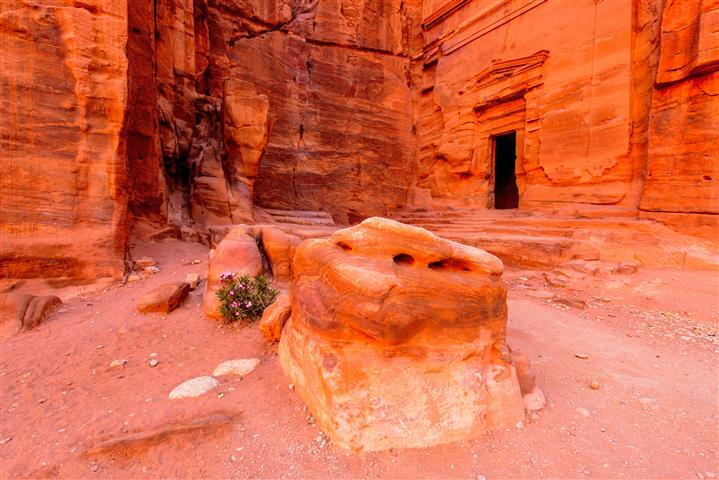 The Treasury is the facade that was carved into the side of the mountain, and the main reason Petra became so famous. 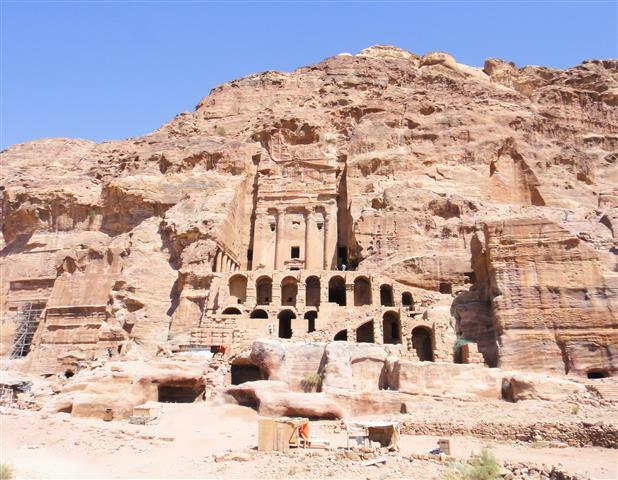 Petra was inhabited by the Nebateans almost two thousand years ago. The rock is rose colored, that is where Petra got her name as being the rose city, but the color changes according to the time of day, to reds, oranges, and pink. Petra is Jordans' most visited tourist attraction. 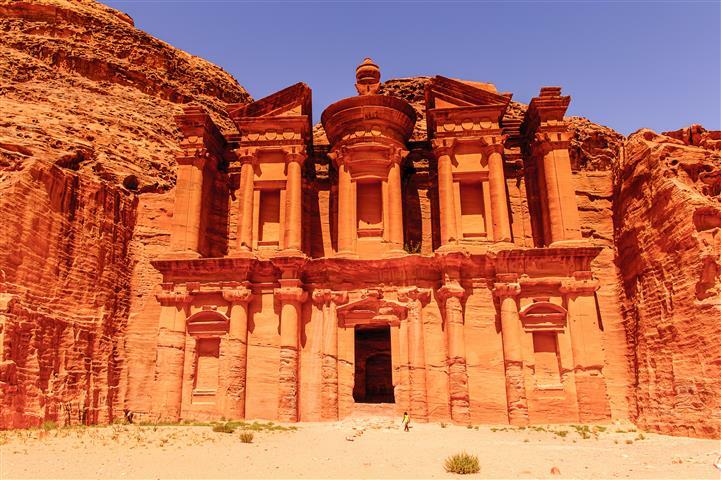 There are over 800 structures in Petra. There is a Roman amphitheater, bath houses, tombs, and much more. Wadi Rum is inhabited by the Bedouins. The landscape of Wadi Rum is amazing with its rock formations jutting out of the desert sand. The Nabateans left rock paintings on the side of the mountains for all to see. Hotel accommodation on B/B bases (3 star hotel). 4 and 5 star hotels are available for an extra fee. We recommend you have cash money available for border fees and tips. Visa for Jordan. 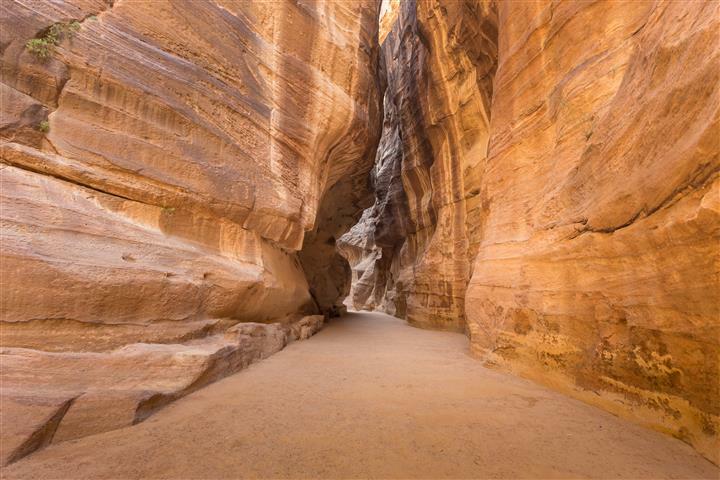 There is an option to stay one more night in Jordan for $60. 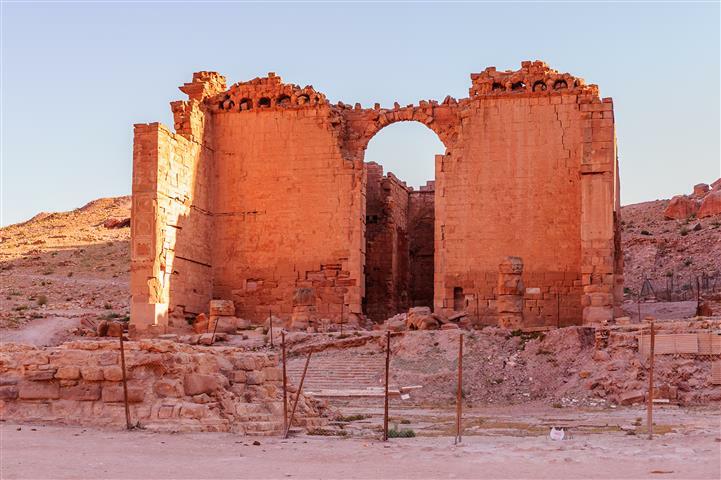 (Staying 2 nights in Jordan does not require a visa.) We can make the visa for you at the border for a fee of $75. We require nationality, passport number, date of issue, expiry date & birth date for reservation. Voucher and visa/tax/tip money - in cash only (payable in U.S dollars, Euro, Pound sterling or Israeli Shekel). Very warm clothing in winter, cool comfortable clothing + head covering in summer. Personal insurance is not included. Please note : No Insurance company insures any accident from a horse or any other animal.